The purpose of this help article is to show you the key features of the RadPdfViewer control. 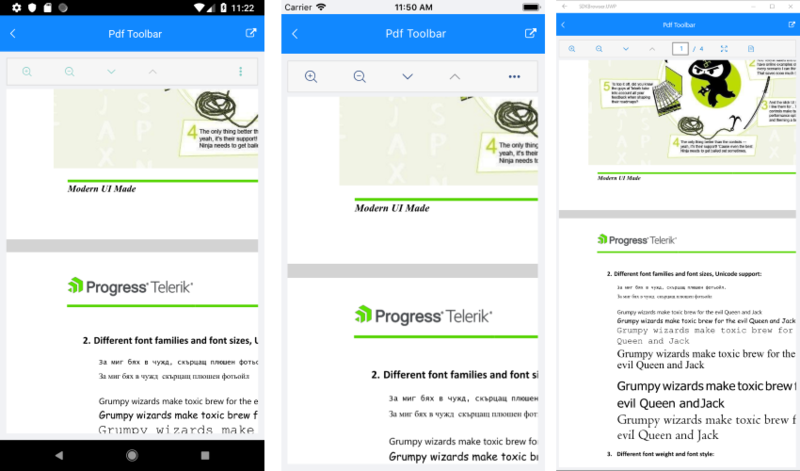 Source (of type Telerik.XamarinForms.PdfViewer.DocumentSource): Defines the source of the document. RadFixedDocument - it is used to load the pdf document from a stream. 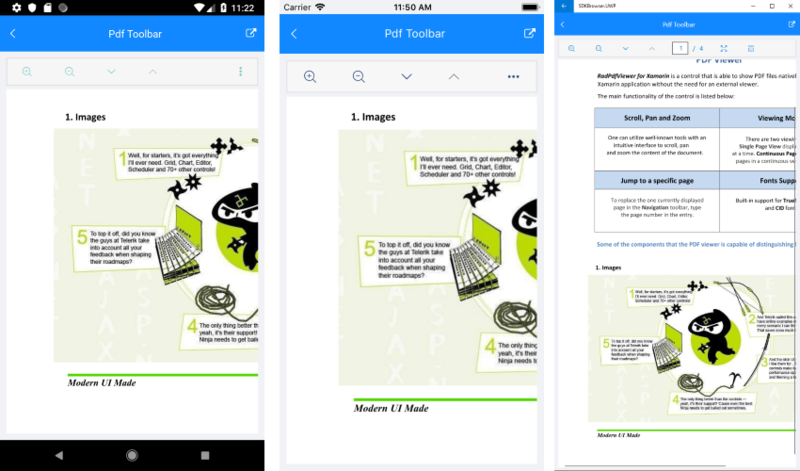 Using this approach you have more control over the loading process, for example, you could modify the document after it is imported and before it is assigned as a Source to the PdfViewer control. where the filePath variable is a sting that contains the path to the file location. Please make sure that you have granted the app all the permissions needed before the resources are used. Otherwise, an error will be raised. RadPdfViewer exposes properties for applying min and max zoom values. In order to check how these properties works you should set the ZoomIn and ZoomOut Commmands of the control. For more details please check the Commands article. You could easily set one of the two layout modes that the control provides through its LayoutMode property. ContinuousScroll: Displays pages in a continuous vertical column. SinglePage: Displays one page at a time. By default the PdfViewer LayoutMode property is set to ContinuousScroll. The RadPdfViewer LayoutMode could be triggered through the ToggleLayoutModeCommand and the ToggleLayoutModeToolbarItem. VisiblePagesStartIndex(int): Defines the index at which the document will be displayed. The default value is 0. 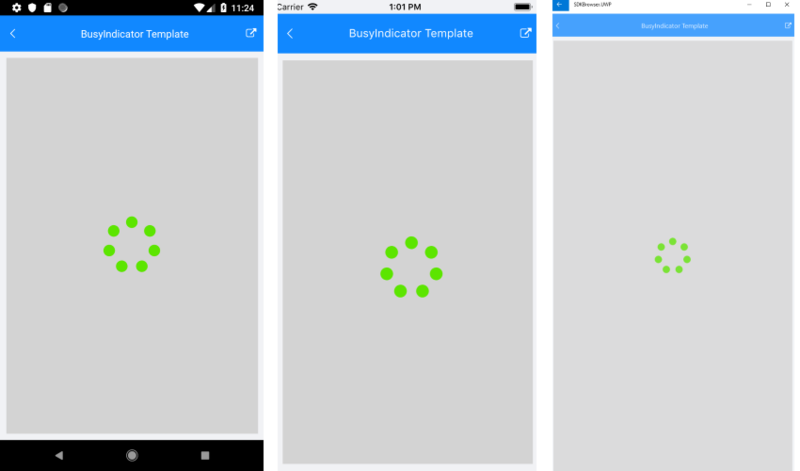 BusyIndicatorTemplate(DataTemplate): Specifies the template visualized while the Pdf Document is loading. A sample BusyIndicatorTemplate example can be found in the PdfViewer/Features folder of the SDK Samples Browser application. For the example we will visualize a pdf document from file embedded in the application with a BuildAction:EmbeddedResource. A sample Key Features example can be found in the PdfViewer/Features folder of the SDK Samples Browser application.